For the music I’ve created thus far in my journey as an artist, it seems a few key themes tend to weave through my lyrics. Positivity, spirituality, raising consciousness are a few of them. Another theme, which I feel rap and hip hop are an extremely potent instrument for, is that of social justice. “Oh Yaran (7 Years)” actually touches on all of the themes mentioned above, but at the core of the lyrics is a desire to shine a light on an injustice that I care deeply about: the unjust imprisonment of 7 Baha’i leaders in the country of Iran. In 2008, these 7 Baha’i leaders were arrested and imprisoned for no other reason than their religious beliefs. Despite an international outcry, year after year, the Iranian government has refused to release them. In 2015, a year after I had completed by previous album Change the World, and a year before I had initiated plans to record my 2nd album Wizdome, I decided I wanted to use my talents to raise awareness about this important issue. My plan was to release the song as part of a campaign coming up that May which marked the 7th year the Yaran had been imprisoned, hence the title of the song, “Oh Yaran (7 Years)”. I began writing the lyrics in April 2015. To find my inspiration, I thoroughly researched the situation, reading through the Baha’i International Community website to more fully understand the situation that the 7 Yaran, and the rest of the Iranian Baha’i community has been facing. I wanted to make sure that I depicted the situation as accurately as possible. One of the concepts I’ve always been most struck by in the Baha’i Writings is the idea that one of the holiest acts of a believer is to endure persecution to prove one’s faith in God. I learned that this is not unique to the Baha’i teachings, but also appears in other holy texts. For the song, I wanted to highlight this common thread, so I researched and found the following exhortations in the Bible and Quran. After writing my lyrics, I decided I’d really like a female vocalist to sing the chorus of the song. I reached out to a few friends, but didn’t have any luck. I then turned to a website called Fiverr, hoping I could find someone willing to offer their services to help me turn my vision for the song into a reality. That’s when I met the incredibly talented Emphavoice. She had an ad online offering to sing vocals for a song, so I reached out to her and explained the project. She was really touched by the topic of the song, and excited to participate. A couple of days later, she sent me a vocal recording of the chorus, and I was blown away. She nailed it. Next I reached out to my friend, Jose Maria (who is also featured on a couple songs from the Wizdome album) and asked if he could help me record the song, as he had a home studio set up at his apartment. He helped me record my vocals, and also mixed and mastered the track within the week, and by the May campaign, I had a song I could share with the world. It was very empowering to feel that I could use my voice and artistic talents to raise awareness on something so meaningful. Fast forward to the end of 2015, and I had really begun to consider raising funds to have some of my songs professionally recorded and mixed. However, before asking others for money to record an album, I wanted to make sure I could go from “A to Z” in the song creation process. In other words, I wanted to ensure I could go from the idea phase of a song to a finished digital product I was proud of, and know exactly what it took and how much money it would cost. I was willing to invest my own personal funds into one song to test the process, and the song I selected was “Oh Yaran (7 Years)”. That December, I found a professional recording studio (TallCat studios) and connected with Nabil Moghaddam of Nkindle Productions for the mixing and mastering, and went all in (to the tune of about $400!). Once I got the finished MP3 of the song from Nabil, I was floored. My sound had been taken to a new level. The quality of the sound convinced me I was ready to record a full length album, and gave me the confidence to launch a Kickstarter campaign to raise more funds to record the rest of the songs I had written. I obtained the funds in March 2016. In addition to the recording and mixing of the album, the money raised also included funds to record a couple of professional music videos, shot by my good friend Brian. The Yaran still were not free, and that May would mark the 8th year of their unjust imprisonment. I felt compelled to do more to raise awareness, so I decided one of the music videos I’d produce would be for the song “Oh Yaran”. For the music video, I really wanted to use the imagery of candles in darkness to symbolize the act of shining a light on injustice. 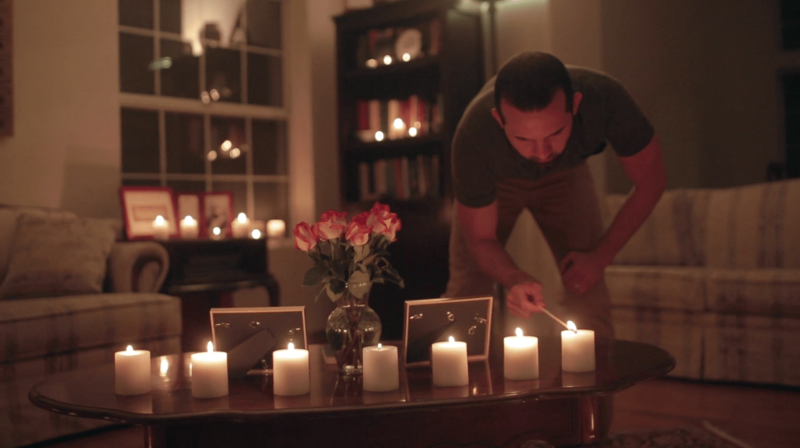 In a few of the scenes, I depicted the number 7 with candles and roses, to represent the 7 Baha’i leaders. In the Baha’i Writings, art has been elevated to the station of worship, so I wanted to open and close the music video with a devotional space, to symbolize the song and video as an act of prayer and praise to the Most High. I also like to highlight various locations in my neighborhood of Sunnyslope in my videos, so in this video I used a dimly-lit dirt path near a basin next to my home for one of the rap scenes, as I felt it matched the vibe of the video. 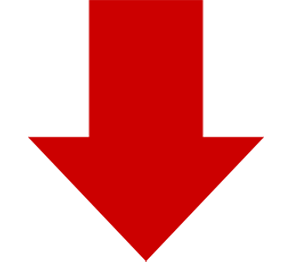 One of the practical challenges for the video was how to incorporate Emphavoice, as she lives in Barcelona, Spain. I reached out to her to see if she wanted to participate in the music video, and she was eager and excited to bring the song to life. She had a friend help her shoot a few scenic scenes of her singing the chorus, and it blended in really well with the rest of the video. Despite this song, and the efforts of a multitude of other artists, activists, and citizens across the globe, the Yaran still remain imprisoned. It’s a bit of a sobering feeling. However, I’ve heard many a times that those facing human rights abuses and unjust imprisonment often find much of their hope in the fact that people around the world are thinking about them and working for their freedom and justice. One of the most heart-warming messages I received regarding this music video was from a relative of one of the Yaran, stating she really appreciated the piece of art. It’s my hope that, in some small way, the song and video have a positive impact and bring a little bit of hope to the Yaran and the rest of the Baha’is in Iran as they continue to struggle through the persecution. During her confinement in Iran’s notorious Evin and Raja’i Shahr prisons, Mrs. Sabet distinguished herself by the loving care and kindness she extended to her fellow prisoners. Journalist Roxana Saberi, who shared a cell in Evin with Mrs. Sabet and fellow Yaran member Fariba Kamalabadi, has written about how their compassion touched the lives of other inmates, as well as a touching recollection of how they cared for her during her hunger strike. While in prison, Mrs. Sabet, a former teacher and school principal who also worked with the National Literacy Committee of Iran, found solace in writing poetry. Her remarkable compositions were collected and adapted into English, published in a volume entitled Prison Poems in 2013 that was widely praised for its literary quality and profound subject matter. It is expected that the remaining six members of the Yaran will be released from prison in the coming months. May they all remain firm and steadfast in their commitment to faith and sacrifice for a Cause they believe in to the core of their beings.